To mark World Water Day, David Leyonhjelm has pledged to demand the New South Wales government withdraw from the Murray-Darling Basin Plan if he wins a seat in the Legislative Council. “I spoke out against the mismanagement of water in the Senate and I will use my position in the Legislative Council to pressure the next NSW Government to withdraw from the failed Murray-Darling Basin Plan as soon as possible,” he said. “We simply cannot afford to sit back and wait for the Plan to run its course until 2024. For too long, NSW has seen our precious water sent downstream to South Australia, purportedly to help the environment, only to watch it evaporate or be used to fill the Lower Lakes for a sailing regatta. “In one of my last speeches to the Senate, I slammed the Plan for devastating rural NSW and Victoria, where towns like Shepparton, Deniliquin, Griffith and others have been absolutely devastated by the loss of water. Not to mention the shocking scenes of dead fish following the release of water from the Menindee Lakes to SA. In the meantime, SA farmers have lost almost none of their water yet SA politicians and commentators are the loudest complainers. 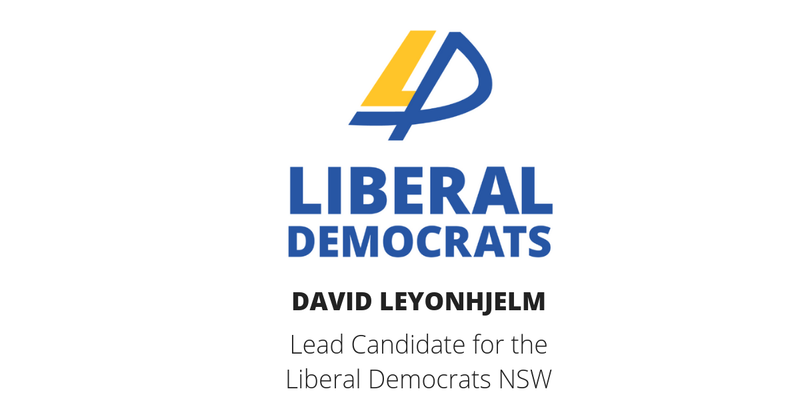 Mr Leyonhjelm praised the NSW Minister for Regional Water, Hon. Niall Blair MLC, for promising to stop any more water from the Menindee Lakes being sent to South Australia.